"For an occurrence to become an adventure, it is necessary and sufficient for one to recount it"
So, here is the thing. I made this page yesterday and I freaking love it. I purchased Ali Edwards’ Storytelling with Project Life during her recent class sale and my inspiration is through the roof. I am finishing page after page and frankly I am killing it, if I do say so myself. I am so so pleased with my creative process right now. So why is that bringing me down? In the last week of July, I relaunched this blog. Through that and over the course of August I hit social media pretty hard: Facebook, Instagram, Pinterest. 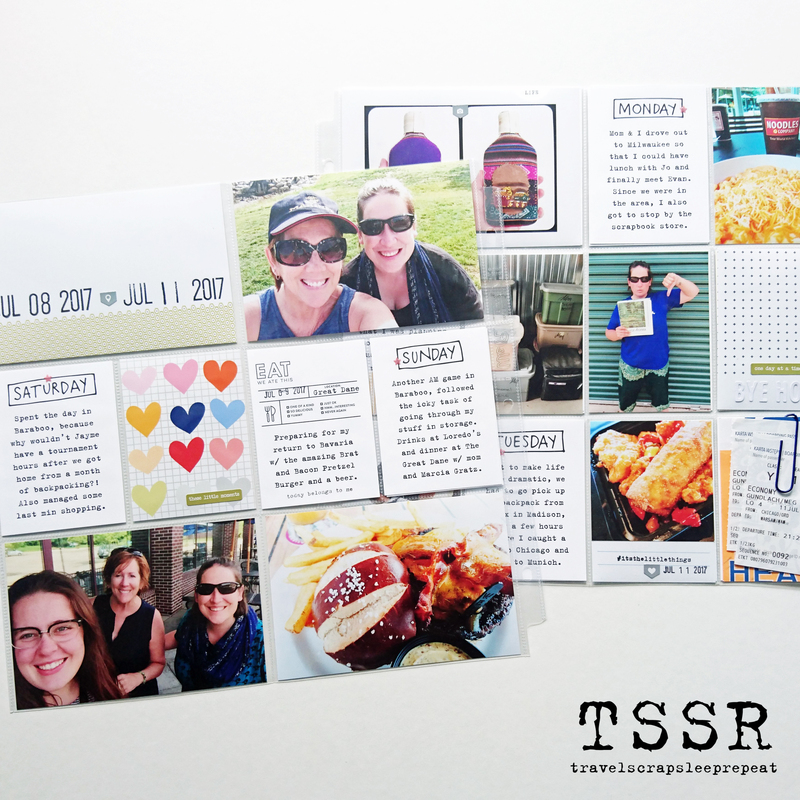 I posted and crossposted and commented, all in a little experiment to see what the ‘online’ scrapbooking community looks like today. And if I am honest…I did not have a single comment on a single blog post. Not one. Instead, I had an overwhelmingly positive response on Facebook and Instagram and it is there I was able to reconnect with the community. Enter the Ali’s Storytelling with Project Life class. Without giving away content, I feel like I can say that the class lays a lot of focus on making your products/process/projects work for you. As I am averaging a spread a day since signing up, I have clearly taken this on board for my scrapping life. But it also made me take a long hard look at this project, my blog. Right now, I want something more instantaneous. Maybe I am just a product of the times. But blogging is time consuming and I am/was happy to get a full post out once a week. Therein lies the rub. 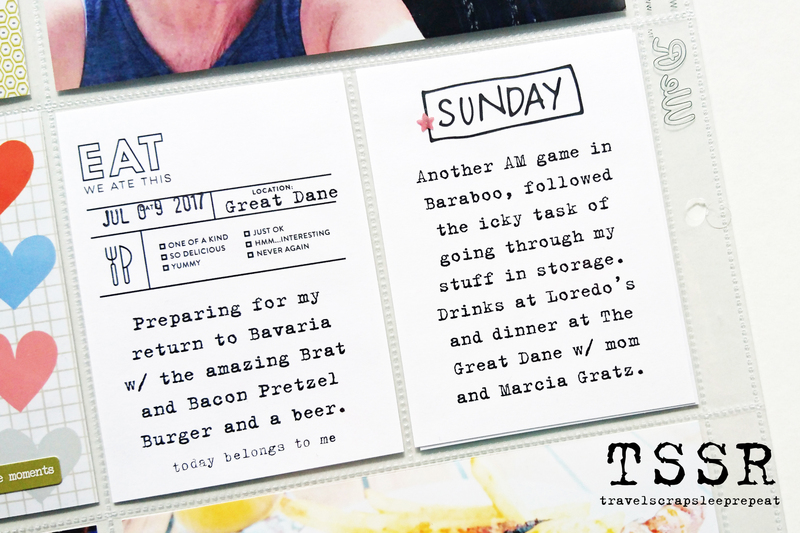 I am ecstatic to report that I am consistently creating more than one spread a week. In fact, at the moment I currently have a backlog of 20+ spreads I want to share. That is awesome AND intimidating. Which brings us to today. 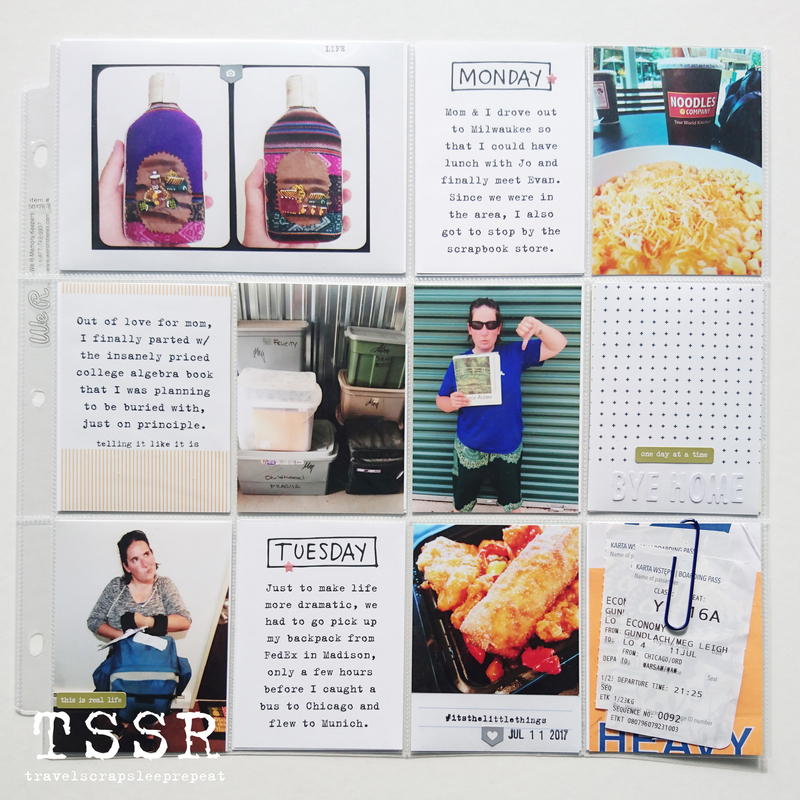 I don’t want to wait 20+ weeks to share this layout that I am psyched about. Twenty weeks is five months. That’s past my birthday…I will literally be another year older. I want to share my creations today, in a forum that elicits communication and encouragement and inspiration. So what’s the point? I have decided to scale back on blogging and ramp up my other social media presence (particularly my Instagram account). I still believe that there is so much value to a blog and I will always keep it as homebase. But for now, I would like to dedicate my time and passion to other forms of interaction that are giving me more joy. 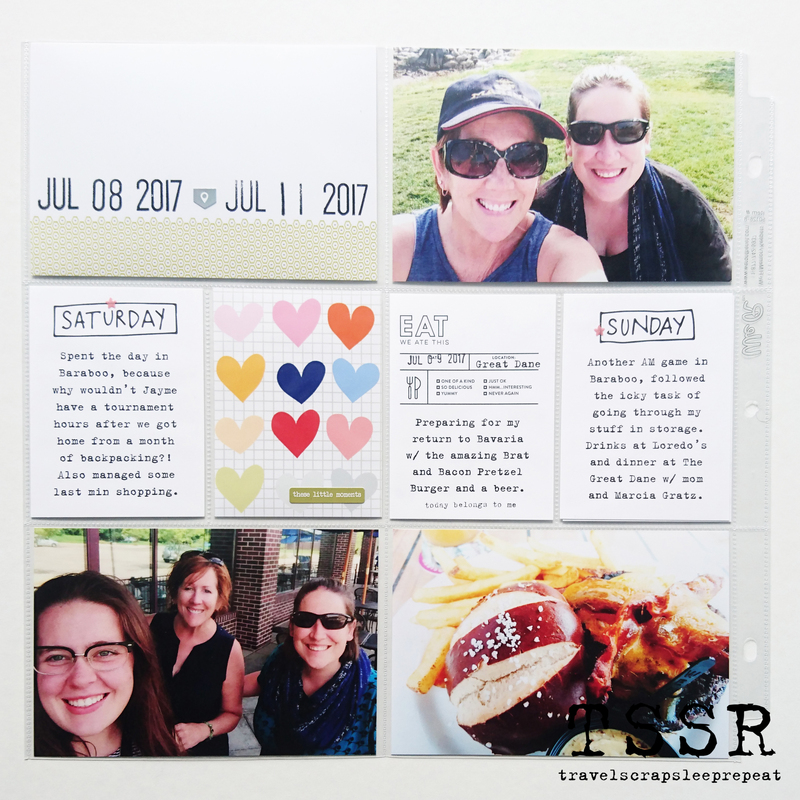 Here on the blog, I am hoping to maintain a monthly recap to round up the projects I have been working on and the products I am loving. I totally reserve the right to throw in anything else that takes my fancy. By recommitting myself to monthly posts, I feel like I am clearing up so much time for posting elsewhere. The intention is to hit Instagram hard one to three times a week, a quota that just hasn’t been realistic here on the blog. So, that is that. I would love to hear other people’s thoughts on the different social media platforms, particularly those who are not on YouTube (a medium I have been toying with). I really appreciate all the support and encouragement and I cannot wait to share allthefreakingpages. Cards: Studio Calico July 2017 (Silver Lake Lodge), In A Creative Bubble Travelogue, and digital brushes from Ali Edwards’ Storytelling with Project Life class. 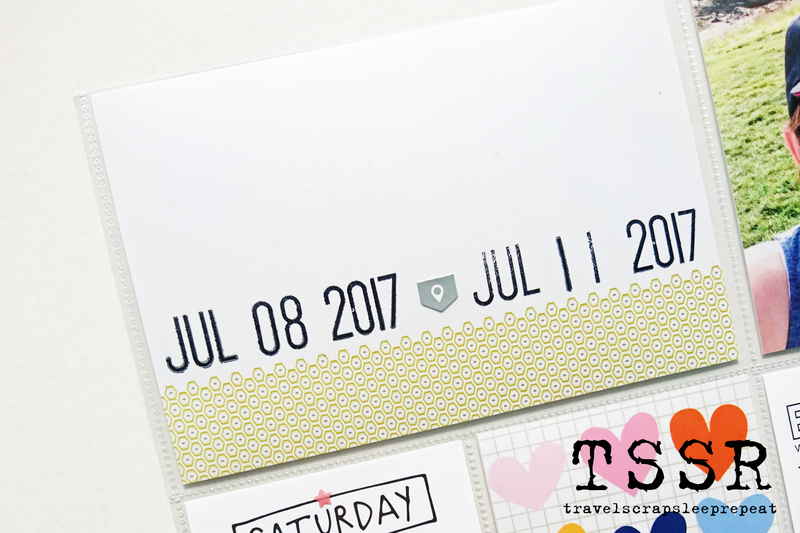 Stamps: Elle’s Studio Date It and generic roller date stamp. Type font phrases from various Citrus Twist sets. Other: Pentagon stickers from Ali Edwards’ Surprise Story Kit, tiny stars from Ebay, navy paper clip from Aldi (there is 59 more to use, so keep an eye out). I have found that more people are on FB than blogs. I don’t have instagram but everyone I knows says they love it. Go for it, change is part of the adventure. I know that I keep ignoring my blog, I actually love writing it but it is so time consuming. Ok, so is all social media but you get responses faster on other social media. Good luck in your adventures. Nice pages. Instagram is definitely my favorite form of social media right now. I watch YouTube occasionally for techniques but mostly I find process videos to be boring. I look forward to seeing your pages on IG. Thanks Holly! I am definitely guilty of consuming social media, but not really contributing to it…that ends now! Hope to see you on IG with much more presence soon! 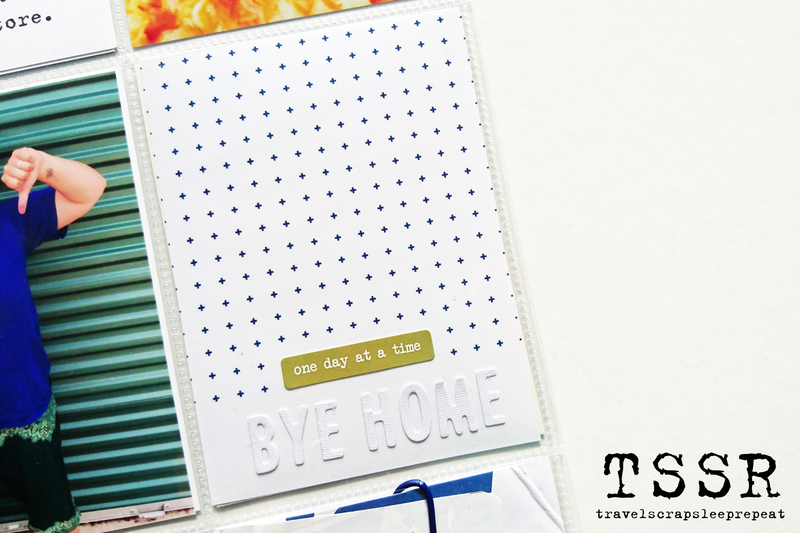 I love the layouts – I have bought a couple of project life kits but haven’t worked with them yet. I love the blog (I am making a plan to re-engage with my blog) – Not much for you-tube. I am an Instagram girl and like following Twitter feeds. RIP casually blogging…I agree, the only blogs that still seem to be successful are the ones used full time as business platforms. 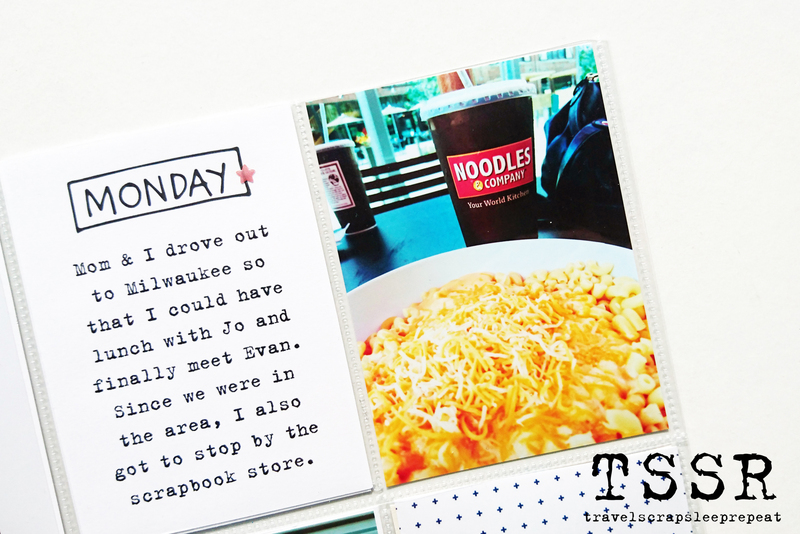 I totally make my scrapbook pages for my own enjoyment, but I started the blog for interaction so I shall follow the winds of change! I go to blogs via the Facebook link, and subscribe to quite a few via Bolglovin, but I often find someone’s blog to be set up so that I need to have an account with the platform they use to be able to leave a comment. I totally get that Cara! Even though I watch process videos everyday, I rarely actually sign in to YouTube so if I want to leave a comment it just seems like a lot of work. Thanks for taking the time to share your view! Ali’s classes are the best aren’t they ?! And go you for getting so much done!! Your spreads look great!! I totally agree with you about the blog thing. I really like to write on my blog but it is much easier to snap a photo with my phone and post to Instagram, which will automatically flow through to FB and Twitter if I want it to. I’m echoing Sue B. above I agree other platforms have killed blogging. I still read blogs in my WP reader and in Feedly but I think the herd is definitely trending toward more immediate gratification! Part of the problem I think is the screen size. Viewing a blog post through a mobile is difficult and everyone seems to want instant and short. I love the blogs for the in depth and when I had slow internet they were the only way I could see or learn anything crafty. I’ve also just bought Ali’s storytelling class and love what you’re doing with the spreads. Good luck with you’re switching to Instagram. Noel, that is a really good point about the screen size. 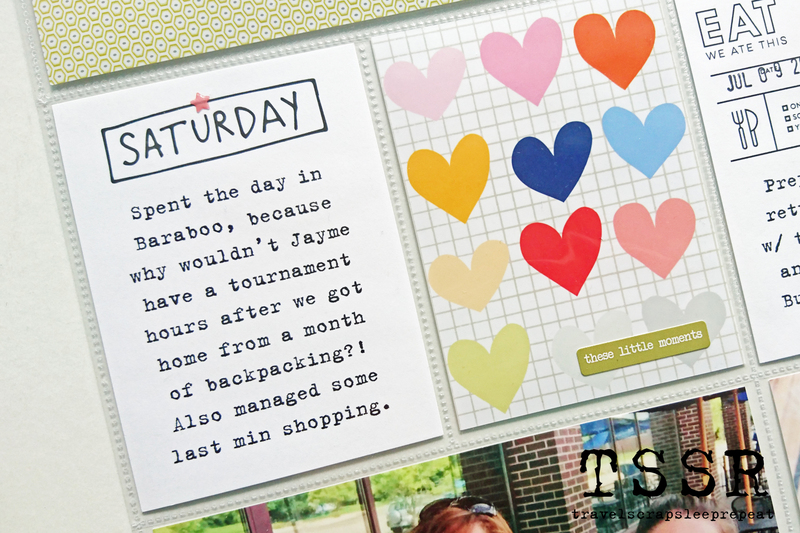 I also love the depth of blog posts, particularly for discussion of PRODUCTS—after working in a scrapbook store for 6+ years I still really miss that part. Enjoy the class! Love this post and the conversation!! I find blogging takes far more time and effort than a quick share on Instagram. And I definitely find the instant feedback from IG/FB fuels my momentum to share more 😊 Thank you so much for sharing your “ah ha” moment!! It’s definitely given me something to think about! Hi Lida! 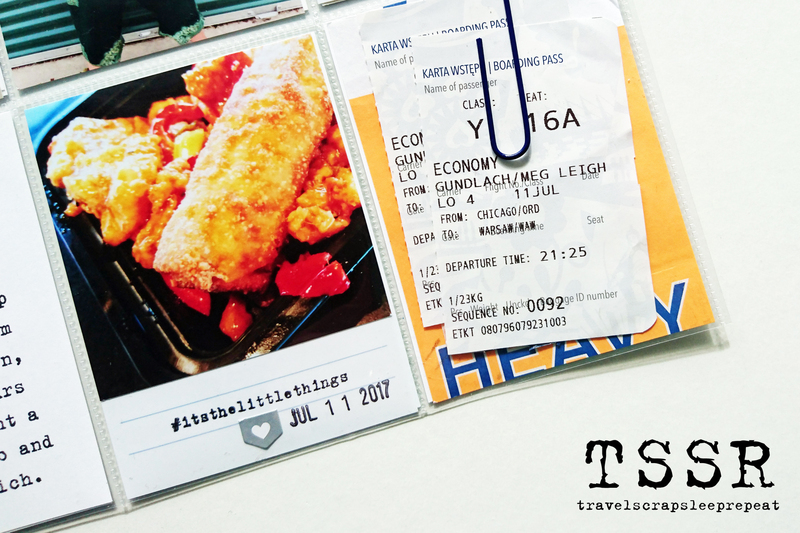 Thanks for making it all the way to the blog 🙂 I don’t actually have a full process of how I tackle travel albums yet, but that is a great idea. I started some initial posts on my study abroad album organization (there is a keyword) and then never really went back to it. I have a big trip coming up this summer (also Disney! ), so I will definitely try to document the whole process then. Thanks for the feedback!